I bought this gem in August of 2015 and it's been a great vehicle to have. I've re-upholstered the front seat bottoms and added an LED light bar, the updated audio deck is a JVC CD/DVD with iPod compatability. I upgraded the speakers to Alpine units in the doors. The license-plate frame rear-view camera displays on it as well. I've done regular maintenance with synthetic oil and it burns maybe 1 quart every 1,500 miles. I had the differential fluid replaced last year. There is a brush guard in the front and running boards on the sides. 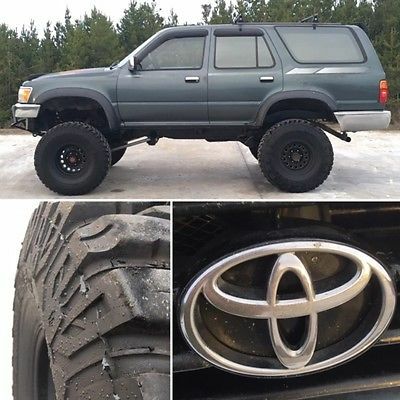 It comes with an additional set of mud & snow tires mounted on Toyota wheels. I bought a set of third row seats which haven't been re-upholstered, but they come with it as well. Larger photo's below description. 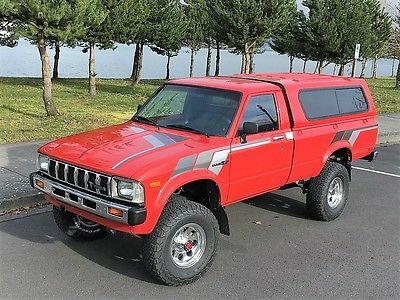 Available is my 1982 Toyota 4x4 pickup. 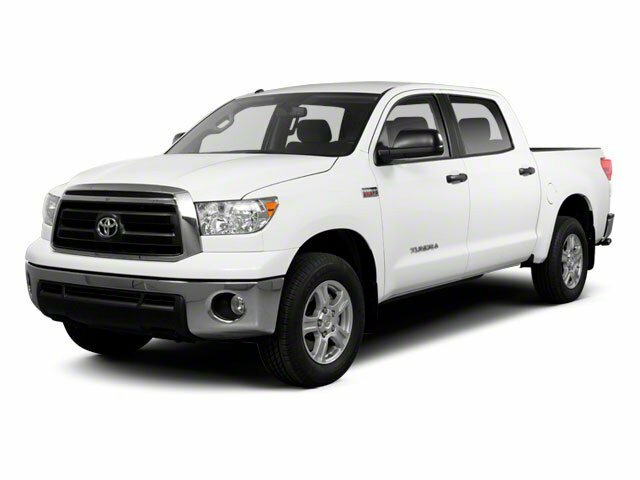 Truck is equipped with a 22r, 5 Speed, and power steering. As you can see from the photos the truck has gone under extensive restoration work. This is NOT your typical high mile, classic Toyota Pickup you see for sale with the quickie respray & stripe job. It is nut and bolt, turnkey ready to go, no issues. This was a one owner low miles truck up until 2010, I purchased from the second owner (see auto check report). The truck remains largely original, aside from some minor mechanical modification to enhance its drivability, power, and ability off road. In an effort to keep the ad organized and short, I will describe the truck in sections below. Please review the photos as well to gain an idea of the extent of restoration, parts/upgrades, and time/labor invested. If you have any question please ask, or feel free to contact me 503-369-0459. The truck is located near Portland Oregon. I can work with auto transports, or I can meet you at the PDX airport if you wish to drive home. I do have a local Toyota dealership located near by for a pre-purchase inspection if needed. Body: -The body in great condition overall, with absolutely No rust or major defects. It has been refinished in the factory Toyota Super Red paint code, and finished with factory SR5 stripes. -The body was completely disassembled during paint, doors gutted, and all glass removed for a thorough respray (expensive/time consuming). -During the reassembly I had all the hardware replaced with stainless, new windshield fitted, and all weather stripping replaced. -The bed has also been “lined” inside, and fitted with very nice lockable canopy (keys included). - New rear bumper, new grill, new OEM door handles, and new lighting installed after paint. -Only notable flaws include a few small door dings from general use (tried to photo but would not show up). - 5 new alloy wheels, and 5 new BFG All Terrain tires (31x10.50). Matching spare wheel/tire under bed. New lug nuts, center caps, etc.. over $1700 in wheels/tires. - Body was removed from frame and new polyurethane body mounts fitted. Frame was stripped and painted with POR-15 chassis paint for rust protection and longevity. - Floors were in good shape and also received a POR-15 treatment, then covered in sound deadening material (truck rides quite). Interior: -Interior remains all original aside from the seat being reupholstered (correct style material used), and new carpeting. -Dash is great condition with no cracks, and wears a form fitted dash mat for protection. 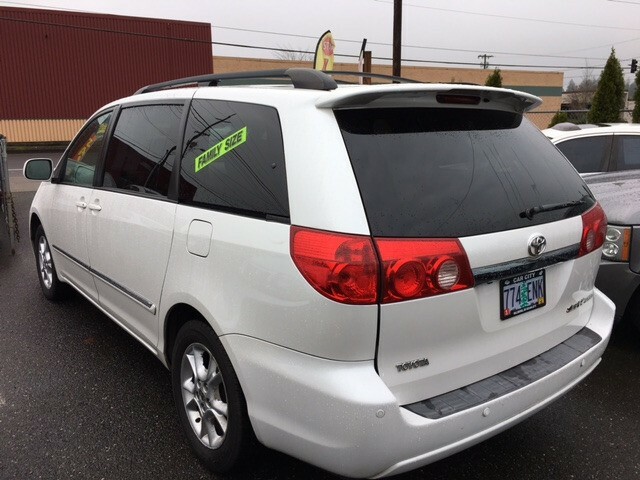 - Headliner is nice/clean, and the Factory AM/FM radio remains (works).-All interior dash lighting functions, to include courtesy lighting as well.-Only notable flaw includes some minor perforations on drivers door panel (pictured). Suspension: -The suspension has been completely overhauled and replaced with new or rebuilt. -New Old Man EMU springs front/rear, small 2” lift. These are the best available for this truck and provided a softer ride over factory. -All 24 leaf spring bushing replaced with polyurethane -New rough country shocks, new steering stabilizer, and all new steering linkage. -Front axle gutted, rebuilt with new seals, bearing's, upgraded inner axle seals, and new wheel bearing. -Break system rebuilt using new brake calipers, new rotors, new pads front/rear, new master cylinder, and new hoses. Drive train: -Over $5000 recently invested in rebuild & upgrade of drivetrain. Runs great, very tight. Approx. 6,000 miles driven since overhaul. -Motor rebuilt to factory spec. Local reputable machinist bored/honed block (.020 over). Crank polished, rods resized, etc… -New pistons, new timing chain assembly, new oil pump, new water pump, new OEM rod/main bearings, etc.. -Cylinder head rebuilt with new valves, guides, Viton stem seals, and three angle valve grind. -Reassembled with new OEM head bolts, new OEM head gasket, new rocker arms, etc… -Motor upgraded with new performance Cam for better torque, new Offenhauser dual port intake, new Weber Carb (adapter used to retain factory air cleaner assembly), new header, and all new exhaust system. - During engine rebuild a new OEM Aisin clutch kit was fitted, flywheel resurfaced, new transmission mount, and new clutch master and slave cylinder fitted. Transmission/transfer case were also resealed, and correct GL4 synthetic transmission fluid used in both. - Rear differential was sent to Gearinstalls.com to be professionally rebuilt with a master rebuild kit, and a Detroit TruTrac Limited Slip unit installed. The limited slip immensely improves the off road capability of the truck, without any adverse effects to the drivability on road. Over $900 invested in rear differential alone. - In-depth tune up preformed as well to include new OEM ignition components, new coolant hoses, new belts, new battery, new fluids & filters in everything, and all new fuel lines. In summary this is great/reliable classic Toyota, gets a lot of attention everywhere I go and is a lot of fun to drive. It produces good power and can easily cruise at 65+ mph all day. It looks amazing, but also preforms very well both on the street and off-road. These are becoming very rare in this condition, and level of originality. It is guaranteed to please its new owner, and should provide another 35 years of faithful service. I have a clean title in hand, and I do have a video of the truck running/driving if you need further proof of its condition. 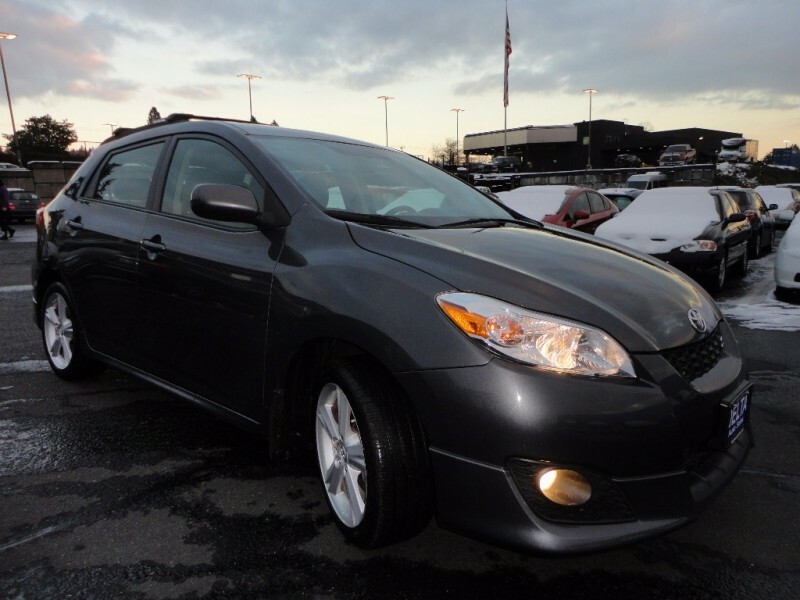 2009 Toyota Matrix AWD!! One Owner!! 1990 4RUNNER / CHEVOTA FOR SALECHEVROLET 4.3L MOTOR - 41k on quality rebuildAEM COLD AIR INTAKEADVANCE ADAPTERS 4 CORE RADIATOR + ELECTRIC FANADVANCE ADAPTERS BELL HOUSING + CONVERSION KITCENTERFORCE FLYWHEELPAINLESS WIRING HARNESS CUSTOM EXHAUSTYELLOW TOP OPTIMA BATTERY35" X 12.5" COOPER DISCOVERER STT TIRES - 11K miles15" ALUMINUM RIMSAISIN MANUAL LOCKING HUBSDETROIT LOCKER TRU TRAC (FRONT)DETROIT LOCKER (REAR)YUKON 5.29 GEAR - Installed by JT's DifferentialsBILSTEIN FRONT + PRO COMP REAR SHOCKSLAND CRUISER REAR SPRINGSPRO COMP SUSPENSION LIFT + BODY LIFTLOTS OF NEWER AND NAPA “GOLD” PARTS INSTALLEDALWAYS MAINTAINED + LOTS OF EXTRAS INCL $8,000 Message me to exchange phone numbers and get more information on this well built and cared for truck. This truck drives like an off road sports car when on dirt. It will go anywhere and the limited slip front differential makes driving on pavement a breeze. I originally built this truck for as a daily driver that could handle the dirt road commute from our mountain top home in snow country (N. Idaho - no salt) to town. It handles deep snow with ease. It also has no problem driving in other extreme conditions such as mud, sand and ice. This rig also is great for camping and any kind of off / on road adventure. The suspension and tires smooth out the roughest of roads and allow for travel at a higher speed. This Toy turns heads everywhere it goes. I am always told that it would make an really nice hunting rig. This truck has never been rock crawled or abused. The motor was put in 2009/10. It went in after the original 3.0 V6 gave out (common). After weighing all of my options I decided the 4.3l was the only way to go. The motor came from a 1992 Chevy S10 donor. It is a "W" motor which is the higher horsepower version. The block casting # is 10105867, the head casting # is 14094768. The motor has been fully rebuilt using highest quality parts and labor. It has a stock cam (as specified by GM) is balanced and has never been overheated. The motor and conversion work were done by a respected mechanic and have only 41,000 miles since project completed early 2010. The conversion work included many parts from Advance Adapters including Bell Housing Adapter, slave cylinder, pressure plate, clutch disc, release bearing (comes w/ an extra for backup), flywheel, engine mounts, 4 core alum. radiator and an electric fan and hi pressure cap and more. We installed a brand new Painless wiring harness which has worked flawlessly and includes a diagnostic link connector which is in the glove box. The motor was carefully broken in by myself. Since then I have upgraded and replaced various parts including the distributor, cap and rotor, installed a hi amp alternator, a new A/C motor (needs to be hooked up), water pump, fuel pump, oxygen sensor and a brand new mini starter and fuel filters. The oil has always been changed every 3k using quality oil and filters. I have always filled the tank with premium gas from Chevron or Shell whenever possible. The tires only have 11,000 miles on them and can be run from +/- 5 psi up to 30 +/- psi. At low psi snow and sand traction is unbeatable. The tires have been rotated at or before every 5k miles for even wear. 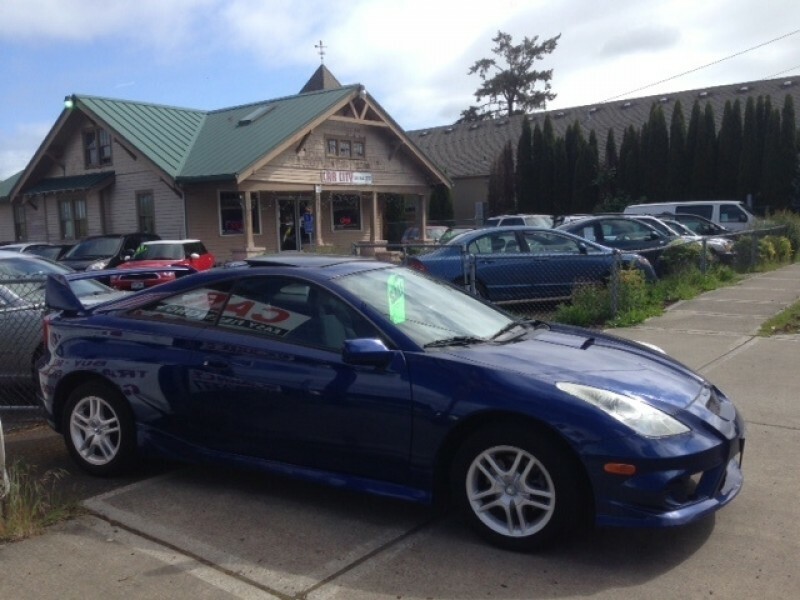 They were purchased from Begg's tire and warranty is transferred to new owner. Truck was aligned after tire install. The aluminum rims are much lighter than steel and do not rust. The differential work was performed by JT's Differentials and all parts were bought thru them. The lift was done by a pro shop in southern Ca. The land cruiser rear springs allow for heavier payload to be carried with less "stinkbug" sag which lifted 4runners can be known for. 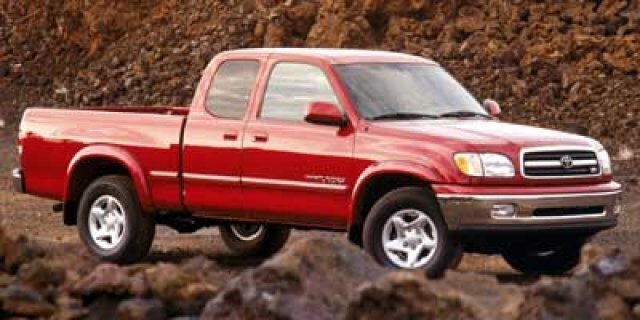 The yota 5 speed transmission is bulletproof. With the 5.29 gear this truck has ample low range power for even the biggest tasks while cruising down the freeway at 70 mph is no problem. The body of this truck is in good shape. 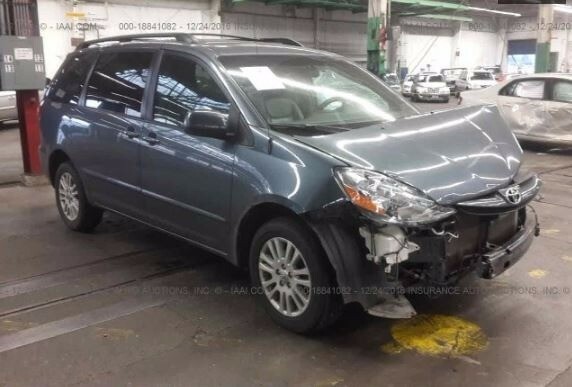 It was in a fender bender before I purchased it but previous owners repaired. The paint does have some sun fading and a little bit of surface rust on the hood (I was planning to upgrade hood and fenders with fiberglass replacements but never got around to it). The fender flares that are on it do have some cracks and blemishes from 4 wheeling but could easily be bondo repaired and painted flat black to look new again. The interior is clean with no rips or tears. It could use a new windshield sooner than later and the passenger side window needs a new electric motor. It has the sun/moon roof which is nice and sporty. This 4runner comes with many extra goodies not shown here. I have the following items and more that come with the rig: Hi Lift Jack, Tire spoon, Shovel, Extra battery kit w/ switch, Carpeted sleeping platform with drawers and storage, Baja offroad lights, Oil pan / Radiator guard (brushed aluminum), Chilton S10 and 4runner manuals, Original 1990 owners manual, Painless wiring diagram, Thule racks with bike tray and Da Kine rack pads, Kenwood cassette stereo and 6x 9 boxes + more spare parts. This vehicle was originally sent to the dealers lot in Missouri 1989. After that it life in the arid inland area east of Los Angeles. I then had it in use in Northern Idaho. It has been back and forth from ID to central Oregon over the last few years. I love this truck and am only selling it because we are no longer living in snow country and need the funds to help start a new business. I would not hesitate to jump in this and drive across the state today if needed. 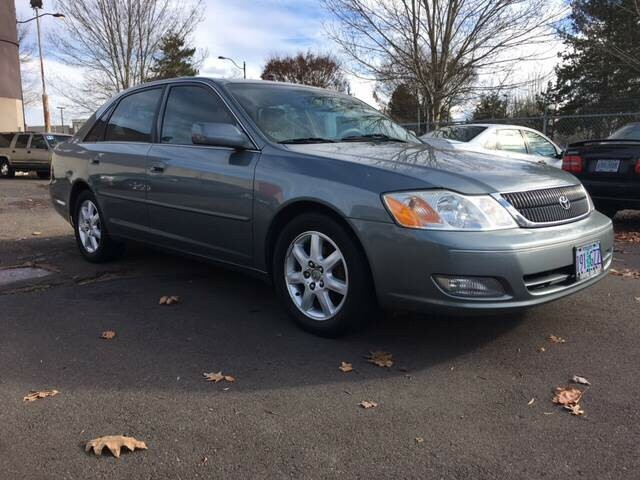 It has always been reliable and super fun to own and drive.I have put a lot of time and money into this vehicle and would like to pass it on to a good home. I think the price I am asking is fair considering the parts, labor and condition of this solid 4x. 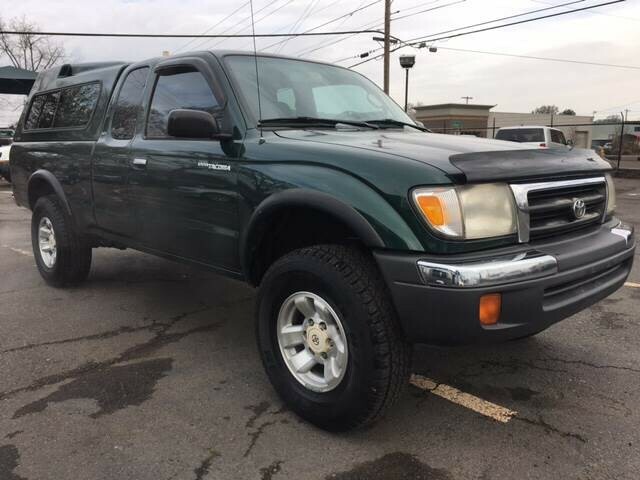 I may be able to personally deliver this truck to Washington, Idaho, Nevada or California if full asking price is met plus gas and return trip expense. 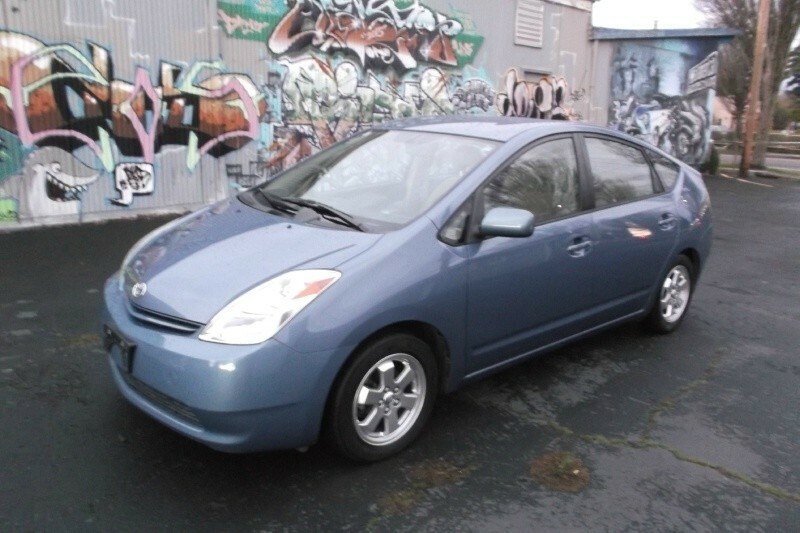 I am flexible and easy to meet up with locally in Oregon for a test drive / viewing. If you are looking for a solidly built 4x4 that has never been abused and are a qualified buyer please get in contact with me. And for additional videos and photos of this Chevota just ask. 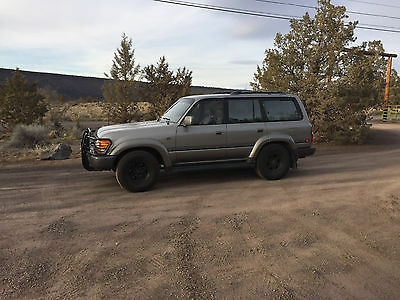 Ebay does not recognize the VIN: JT731PJ7508506236 from Australia Eco-Offroad Presents: 1991 factory 1HZ shows 349266 KM's on the clock -- a/c --paperwork on an engine full rebuilt about a year ago with only a few thousand KM's on it. 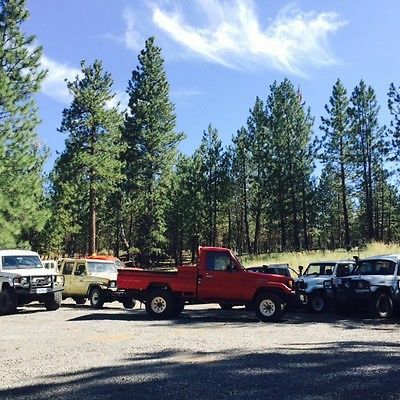 --Nice lockable tool boxes --PTO winch --aftermarket seats --LED tail lights --CB and working radio -New battery -All fluids changed -checked timing belt -12 Volt System Located in Central Oregon with clear Oregon Title. 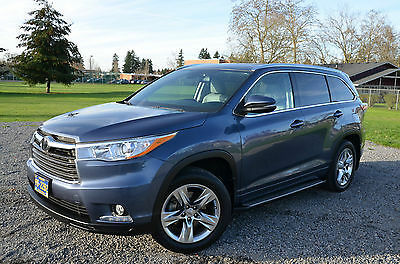 I have other 70 Series Land Cruisers in stock.